Ease of retrospection has become a defining quality of our era. The Internet facilitates the unearthing of impossibly obscure curiosities, enabling equally obscure referencing. For current artists, the reference points of modernism cast especially long shadows; artists like Carol Bove and Mai-Thu Perret have constructed their practices on a dialogue with modernist design, dance, architecture, and art-historical movements, and on the strains of utopian thought embedded in all of them. Ohad Meromi is another artist preoccupied with modernism’s persistent influence. 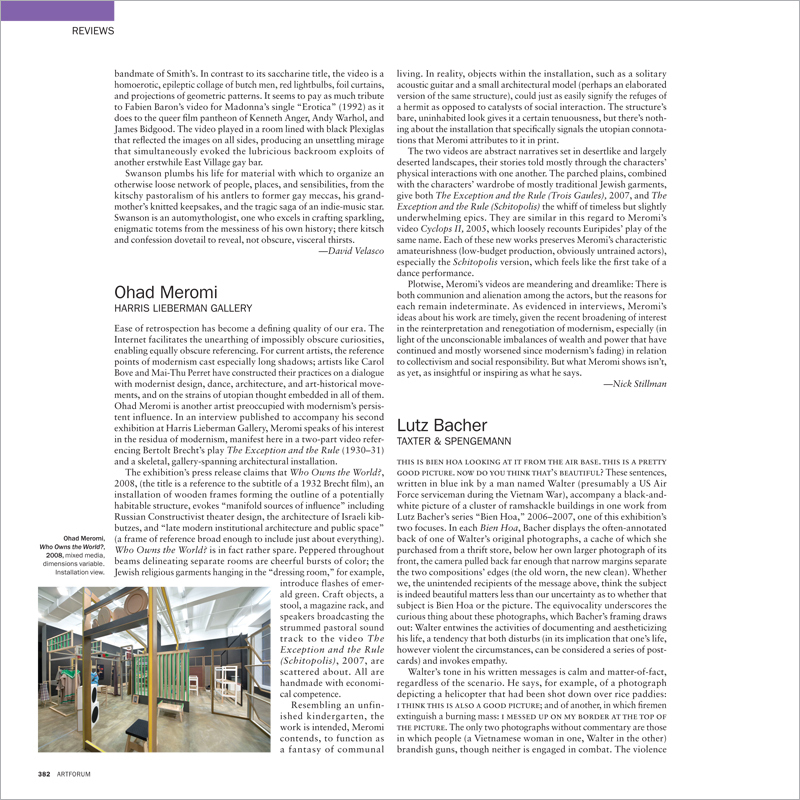 In an interview published to accompany his second exhibition at Harris Lieberman Gallery, Meromi speaks of his interest in the residua of modernism, manifest here in a two-part video referencing Bertolt Brecht’s play The Exception and the Rule (1930–31) and a skeletal, gallery-spanning architectural installation.